Steve Lishansky, as a Senior Executive Coach with Executive Coaching Network, Inc. (EXCN), brings his clients extensive real world experience and insight from his 18 years as a corporate executive and entrepreneur, and more than two decades as a coach, consultant, and facilitator to the C-Suite, leaders, and leadership teams from over 40 countries. Clients seek out Steve for enhancing leadership performance and outcomes through his deeply perceptive executive coaching, improving individual and team communication and collaboration, facilitating executive retreats and high-stakes meetings, and strategically aligning senior teams to significantly accelerate and elevate their and their organizations most important results. Steve brings his clients extensive experience from years of hands-on experience as a CEO, and coaching and consulting to C-level leaders from many industries and countries dealing with all manner of issues, opportunities, and challenges. 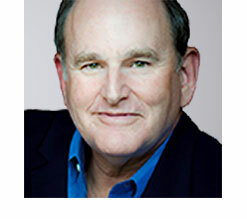 Bringing together that level of insight and experience with his deep study of neuroscience, human dynamics, neuro-linguistic programming, and the art and science of communications, he works with clients to find ways to access their strengths and capabilities faster, deal with limitations more effectively, and engage with others far more successfully. He also helps clients gain deeper insights into themselves as one of the most powerful vehicles for delivering more and better results for their organization. In 2012 he was elected to the Coaches Hall of Fame of the International Coach Federation – New England for his contributions to his clients’ growth and success, and to the coaching profession. As a speaker, he has delivered dynamic, high-impact presentations to many organizations and professional associations about executive coaching, leadership, communication, and the keys to successful leadership development. Dozens of leading companies have benefited from his unique approach to strategic planning, where executive teams achieve rapid results, alignment, and agreement on what is most important to their business – and the results are guaranteed. From Beijing to Boston to Barcelona, clients all over the world have called Steve’s Becoming an Indispensable Partner™ program one of the most powerful and transformative leadership, communication, and professional relationship programs. It is the basis for his book The Ultimate Sales Revolution – Sell Differently. Change the World. – an Amazon #1 in the categories of leadership, business consulting, business communication, as well as sales and selling. Based upon working with leaders to “sell” the most intangible things of all – visions, missions and goals, it provides a framework for communication effectiveness for every leader, professional, and organization. When not serving his clients, Steve most enjoys lively conversations and travel with his 4 children, reading widely, yoga and meditation, and serving on boards of non-profits and social change organizations.